In the early 1990s, Victor Li, a professor of civil and environmental engineering at the University of Michigan, developed Engineered Cementitious Composites, also known as ductile or bendable concrete. More than 20 years later, researchers at LSU are close to bringing this material to mass adoption, producing a cost-effective ECC that utilizes readily available ingredients. Furthermore, through testing to-date, it has proven far superior to traditional concrete and could greatly improve the transportation infrastructure in this region. 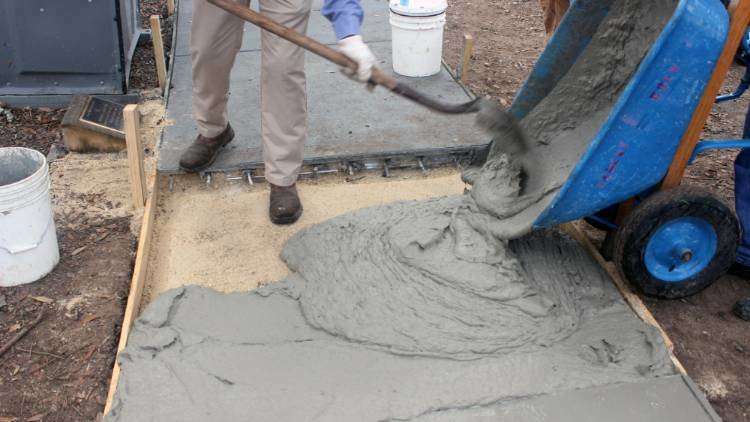 "Compared to typical concrete, our cost-effective ECC material has about 300 times more deformation capacity, more than two times the flexural strength, and a higher compressive strength," said Gabriel Arce, a senior research associate in LSU's Bert S. Turner Department of Construction Management and principal investigator on the LSU ECC project. "The cost of our material is approximately 2.5 times that of regular concrete; typical ECC cost can be more than four times that of regular concrete. "However, when you factor in the possibility of building pavements at half the thickness and the enhanced construction productivity due to the ability to construct pavements without joints, the cost of pavements with our ECC material should be comparable to that of traditional concrete. ECC has the potential to provide [Louisiana] with more durable and reliable concrete pavements that can mitigate the necessity of recurring repair, saving [the public] time and money." The new and improved ECC has been more than a year in the making. 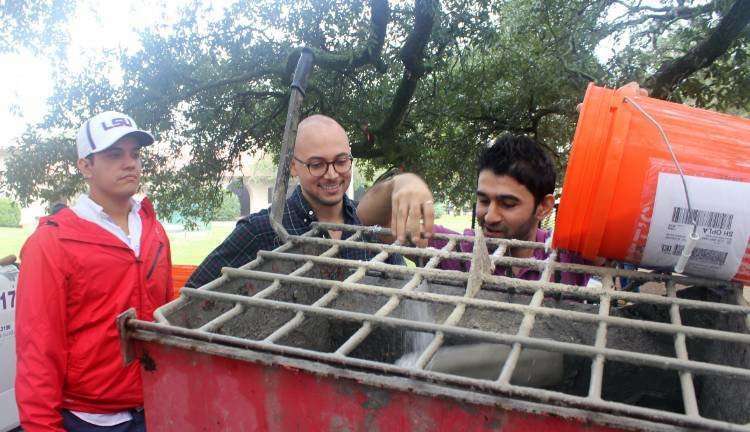 After graduating with his Ph.D. from LSU, Arce submitted his proposal for the project, "Evaluation of the Performance and Cost-Effectiveness of Engineered Cementitious Composites (ECC) Produced From Region 6 Local Materials" to the Transportation Consortium of South-Central States, or Trans-SET. Trans-SET is a collaborative partnership between nine major institutions and two community colleges, led by LSU, and established to address the accelerated deterioration of transportation infrastructure through "cutting-edge technologies, novel materials, and innovative construction management processes." Its members are LSU, Arkansas State University, Baton Rouge Community College, Navajo Technical University, New Mexico State University, Oklahoma State University, Prairie View A&M University, Texas A&M University, University of New Mexico, University of Texas at Arlington, and University of Texas at San Antonio. Trans-SET funded the project and testing began on four different types of sand; two types of recycled crumb rubber materials; five different types of fiber; and three different types of fly ash, which is a by-product of coal combustion and can be utilized to partially replace cement in concrete materials. Once the team settled on the raw ingredients, several ECC mixes were evaluated for compressive strength, tensile strength, deformation capacity, flexural performance, workability, and cracking performance. Those were refined based on testing outcomes and evaluated further. A type of PVA fiber readily available in the U.S. market. It doesn't possess the oil coating typically used in PVA fibers for ECC application, but it does substantially reduce the cost and increase practicality. They were also able to reduce the fiber content by 25 percent, while still producing a ductile material. Locally available fine river sand from the Mississippi River. The sand is fine enough to be implantable in ECC materials and is a replacement for the expensive and hard-to-obtain microsilica sand normally used. Locally available fly ash, which replaced up to 75 percent of the cement utilized in the ECC mix. "We were able to tailor the cementitious mix and the interface between the fibers and the cementitious matrix in such a way that allowed for a ductile behavior of the concrete," Arce said. "In more simple terms, the formula utilizes the right materials in the right proportions." In the coming months, Arce and the team will further develop their work with a project at the Louisiana Transportation Research Center Pavement Research Facility. There, they will build a 210-foot-long section of ECC pavement and use the LTRC PRF's 65-foot-long Accelerated Transportation Loading System, or ATLas 30, to simulate truck loading for pavement testing. The ATLaS 30 equipment is capable of compressing many years of road wear into a few months of testing to obtain performance data on the ECC material.